I was looking after Ben, my grandson again last week and we wanted to go fishing. I went to the tackle shop and asked if they had any worms. To tell the truth it was a bit like the two Ronnie's sketch about 'fork handles'. I was told that they had brandlings, Dendrobeana and lobworms when what I really wanted was ragworm. Anyway they didn't have any. 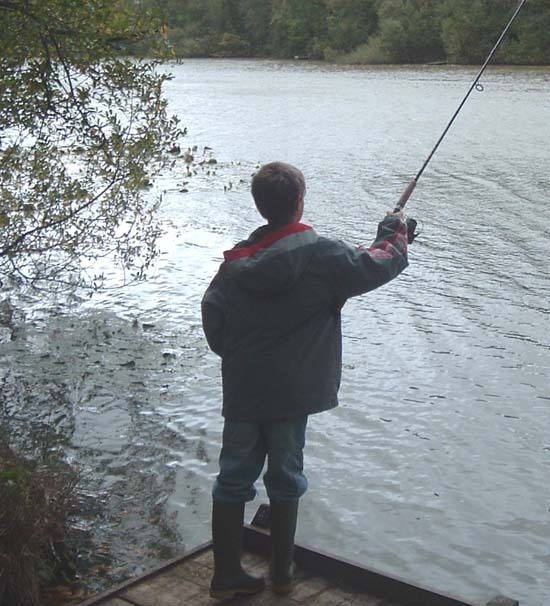 I'd wanted to take Ben flounder or wrasse fishing but we decided to settle for coarse fishing on a lake. Ben's caught loads of rudd there before so he was already a bit bored with them, he finds carp fishing tedious (after two blanks) so he said that he would like to catch a pike. We set up a couple of rods - one to catch rudd for bait and one for pike and set off. There were one or two people bottom fishing for bream when we arrived but Ben's favourite peg was vacant so we settled down to fish. He was soon catching rudd and we put out the pike gear with a single circle hook on a short wire trace and half a wine bottle cork for a float. It was ten minutes before we saw a big swirl out by the cork and it disappeared under the water. 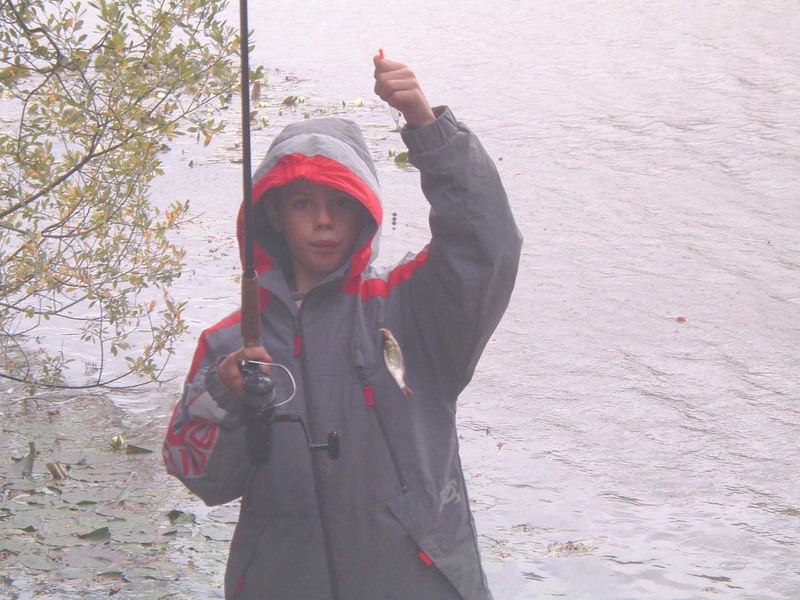 Ben handed me the rudd rod, picked up the pike rod and began to wind in. The pike seemed to be on but appearances can be deceptive and after a minute or so of powerful battling it let go. We hadn't seen the fish so Ben was mortified. He was convinced that we had had our chance of a pike and took some convincing that it might come again. Anyway, out went another bait and sure enough after five minutes away went the cork again. The whole scenario was repeated and blow me when we tried again it happened a third time. I think that Ben was probably not quite allowing enough time for the fish to get the bait inside their mouths so on the fourth bite (after a good fifteen minute wait during which even my confidence was beginning to ebb) I persuaded him to hang on before he tightened. This time the fish was beautifully hooked in the scissors and landed but when I picked up the camera - flat battery! So no picture. We tried again the next day but this time the pike seemed to be absent. That's fishing I'm afraid!